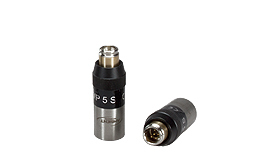 Optionally, the adaptor can be supplied with a Tuchel/DIN 3-pin female screwlock connector. 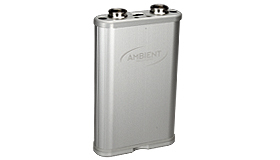 The “Phan-T-omizer” offers an economic alternative to operate 12 Volts T-powered condenser microphones on microphone inputs, which supply only 48 Volts Phantom Power. An electronic circuit is built into the XLR-3M connector to adapt the voltage and block the Phantom Power from pin 3. With this, the high quality T-powered Microphones (like the old Sennheiser MKH415 and MKH416 and Schoeps Colette series with CMC 4 preamp) can be used with modern mixers and recorders.